DCCS for Windows A/R enables your company to track house charge customers. The software allows your company to charge tickets automatically or manually to all your charge customers. In addition, you will be able to post payments, post miscellaneous charges and credits, print statements and establish billing cycles. 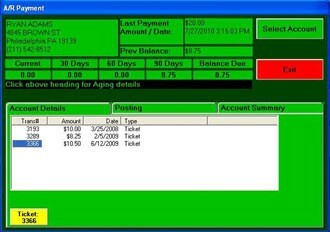 This software package can be configured to meet the specific needs of your Accounts Receivables operation.